After her talk of suicide, is Ronda Rousey pushing herself too fast? UFC’s biggest star is attempting to will herself past defeat, depression, and a suicidal urge in the same way she’s led her life in the octagon. Ronda Rousey’s hardest fight of her life might be at hand, understanding now how far and how fast to push her recovery. Ronda Rousey is one strong, scary woman. Other than her recent matchup against Holly Holm, a humbling defeat for the UFC superstar, the 29-year-old Rousey has been a fierce mixed martial arts brawler, one accustomed to quick, convincing victories and the fame and riches that have followed. For the most part, Rousey hasn’t just beaten opponents but annihilated them, rendered them dust, as if both were animated, make-believe combatants in a UFC video game. As she talked, a defiant, teary-eyed Rousey clutched a tissue in her hands. It was a raw, highly emotional interview, during which she imparted to DeGeneres that she briefly entertained suicidal thoughts in the moments immediately following the Holm-dealt bludgeoning. If you’ve seen Rousey fight, it was a startling image, the rough-and-tumble brawler choking back tears, lip quivering, voice strained as she explained her mind-set that night. So here’s what scares me most about Rousey, at least for the moment. She is going to fight again, and likely only in a few months. Her next opponent to be determined (possibly Holm), she’ll climb in the octagon less than a year after being concussed by Holm’s thunderous kick to the side of her head, and only weeks after revealing to DeGeneres that she briefly considered killing herself. We all know UFC fighters are tough, and Rousey could be the angriest and orneriest of ’em all, but we’re a long way from rubbing spit on brain injuries and rushing back to the fray with everyone yelling, “Get back in there, kid, you’re doing great.’’ It’s hard to get by the thought now that maybe she is dangerously fast-forwarding her recovery, attempting to will herself past defeat and depression and a suicidal urge in the same way she’s led her life in the octagon. The thing is, the rules out here are different, mind-set one thing, mental health another. Rousey was only using a metaphor when she said she views herself as still being undefeated. That’s standard fighter talk. Champs and chumps alike always think they’ll win the next one. It’s impossible to climb in there again, or even get in there the first time, without that mind-set. But as painful as it was to hear Rousey say she contemplated suicide, it was perhaps more painful to see the pounding Holm dealt her. Quicker, more agile, and by far the better strategist that night, Holm “Rouseyed” Rousey, the ex-champ admitting to DeGeneres, in her words, the blows that night left part of her brain turned off. Yet she kept going. It’s her way. It’s how she wins. But keep in mind, as Rousey must, that she is UFC’s all-time No. 1 attraction. Her next bout will be a pay-per-view event likely to rake in the biggest single TV payday in UFC history. 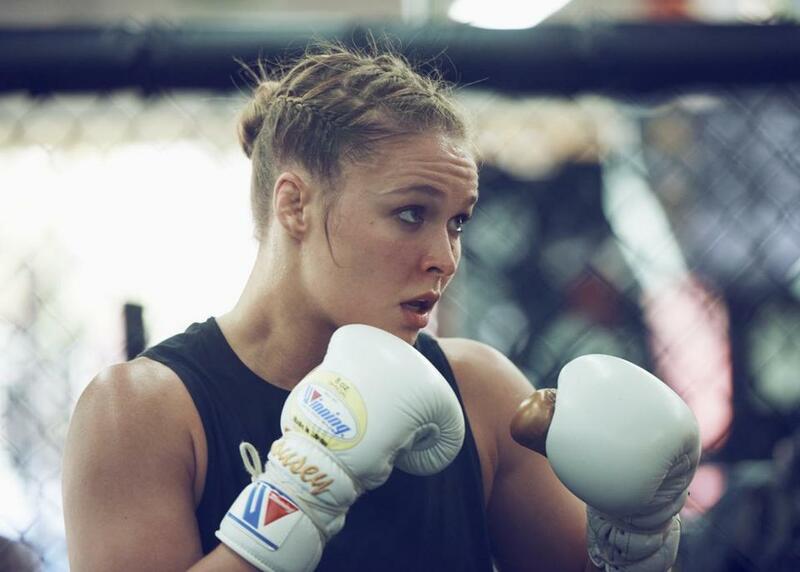 Rousey today is second only to Serena Williams for best-known female athlete and it’s in her best interest, along with the entire UFC brand, to return to action as soon as possible. All of which is great, as long as Rousey’s brain is fully recovered, her mental state secure, and she is as fit as possible. Anyone, amateur or professional, would wonder about that after seeing the DeGeneres interview. As Rousey spoke, the famed comedian sat speechless and bug-eyed. After viewing Rousey’s interview with DeGeneres, Dr. Helen Farrell, a Harvard Medical School instructor in psychiatry, enthusiastically declared Rousey “a champion,” because “anyone who publicly shares their battle with depression and suicidal thoughts shows unsurpassed strength and fortitude.’’ Amen that. The vulnerable Rousey showered down courage by the buckets. However, Farrell also made it abundantly clear that a full recovery from brain injury and the suicidal thoughts stemming from depression take time, work, and expert care. Ron Rousey took his life in 1995 when Ronda, his youngest of three girls, was only 8 years old. He ended his life after being rendered a paraplegic, his paralysis the outcome of an accident sustained while sledding with Rousey and her sisters. Prior to UFC 193 in Melbourne in November, Rousey wrote in the local Herald Sun that her father’s suicide left her with bottled-up grief and self-loathing. Not a woman accustomed to proceeding with caution. The hardest fight of her life might be at hand, understanding now how far and how fast to push her recovery.